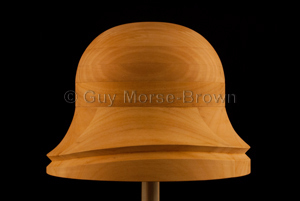 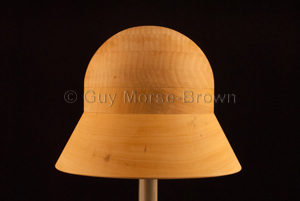 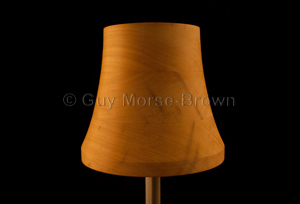 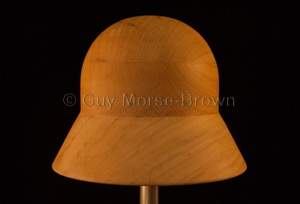 An elegant cloche brim whose curves flow gently out of the vertical sides of an extension and tip. 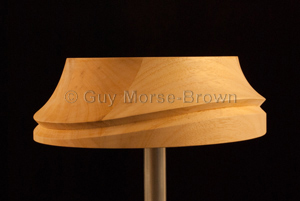 The front extends lower than the back and the sides sweep up in the centre, a shape which is easily created on the block with the string groove (included in the price). 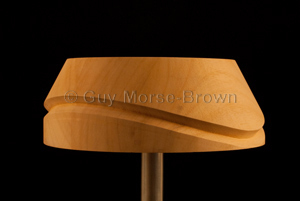 It works particularly well with an MBE2 extension (30mm) and a tip of your choice such as MB7. 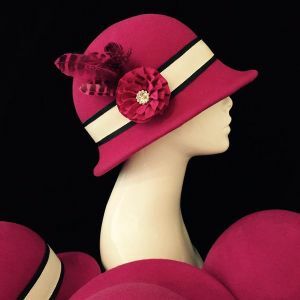 One of our most popular combinations and a great way to vary your cloche hats!